← #5 – It’s a dog’s life……. Tuesday 21st December – Clear blue skies made a trip to the hills a ‘must do’. There was a white blanket of snow over the North of England, promising great views, but the same white blanket had also covered the roads. By Tuesday, though, things were improving, so we decided to try somewhere reasonably near to home. For various reasons we wanted to make it a short day, so Malham came to mind – reasonably near to home and with a good selection of short but worthwhile walks. The Aire valley was a bit on the murky side, mainly due to air pollution, but nearing Skipton everything was clear and bright. It was also getting colder as we hit the A65, and between Skipton and Gargrave we had our coldest temperature reading of the day, at –12C. 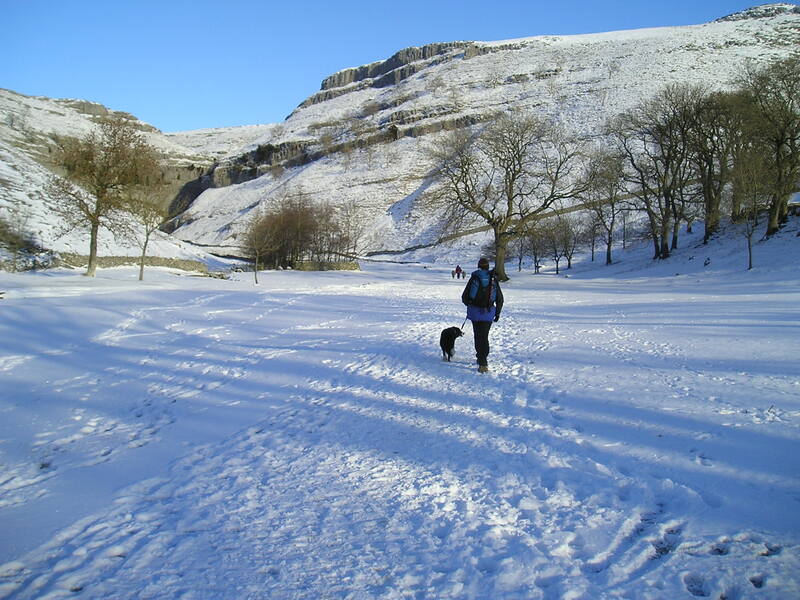 By the time we reached Malham that had risen to a balmy –9C. 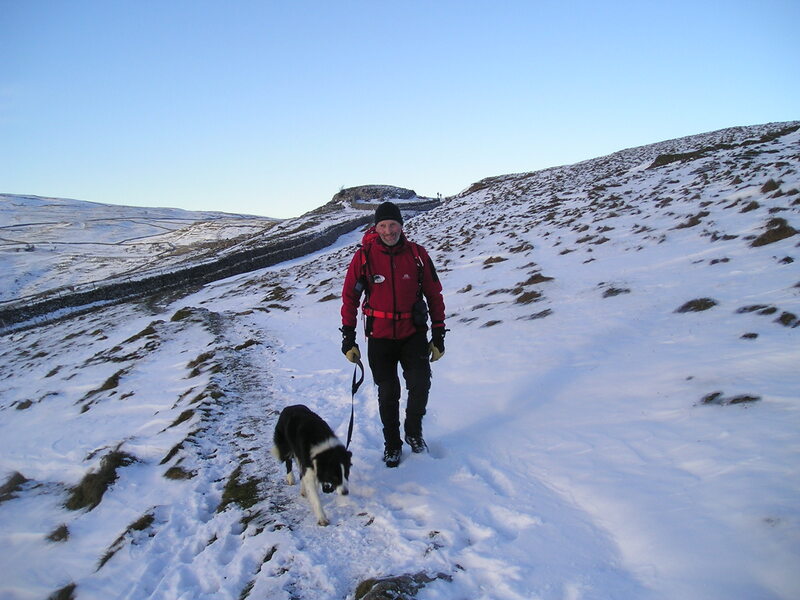 Chris and I were well layered with winter gear, and “Mist” was even better prepared with a thick collie overcoat, but we could still feel the cold. We followed the Pennine Way route south from Malham before turning off towards Janet’s Foss. Out of the bright sun the temperature plummeted to an estimated –12C or lower, but the water was still flowing in the beck. 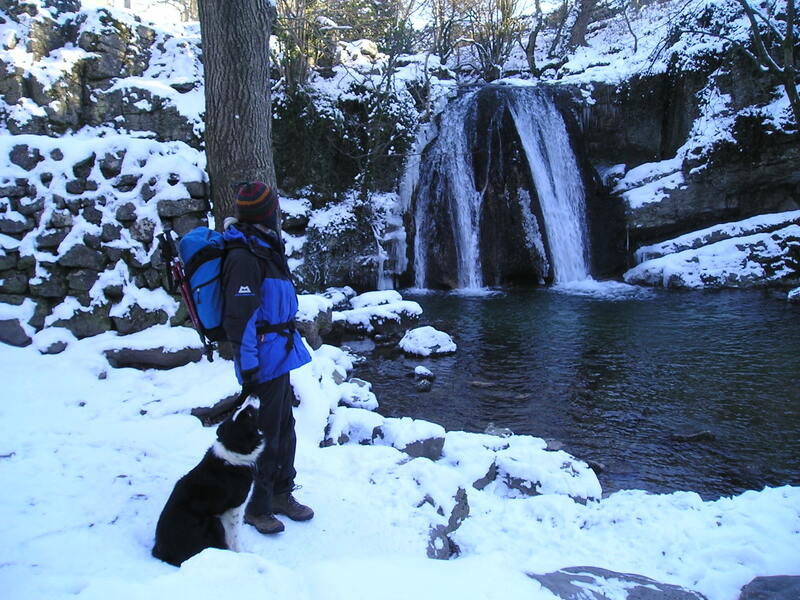 Janet’s Foss is a well-known waterfall near to Goredale Scar, and despite the cold very little ice had formed. “Janet” is the fairy who lives behind the fall, and those who know their northern dialect will recognise the word “Foss” or “Force” as a waterfall, from the old Scandinavian word fors. 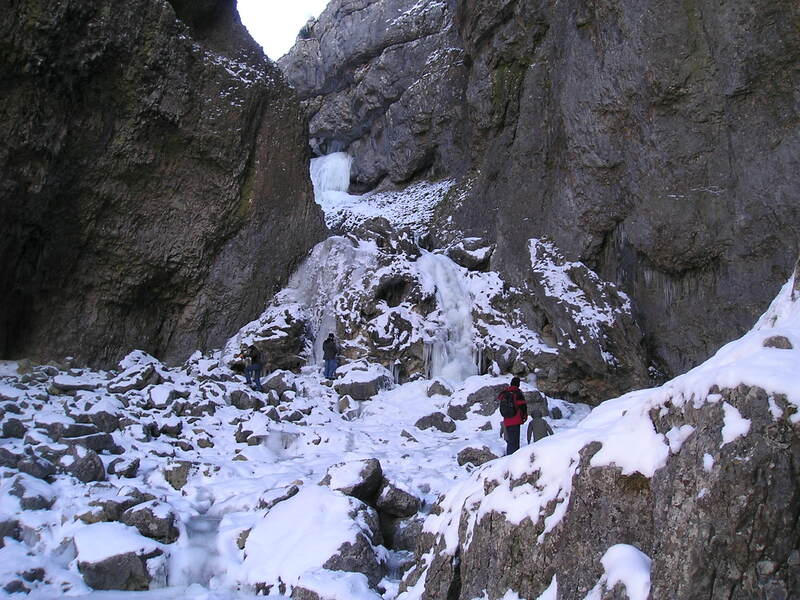 After admiring Janet’s watery home we carried on up Gordale Scar, where the beck was now frozen solid. At the head of the narrow gorge there is an easy rocky scramble, or at least there is in summer. Today it was a 7-8 metre ice pitch that would have required crampons and ice tools. Not on the menu today! We opted instead for a return route heading towards Malham Cove, before following the road for an easy return to the village. So, a short but worthwhile trip out. A bit of snow and ice transforms familiar landscapes, and the cold conditions made it feel like a more like an exploration than the stroll it would have been in summer. With an early start to winter we will probably have more days like this before spring returns. This entry was posted in 3. 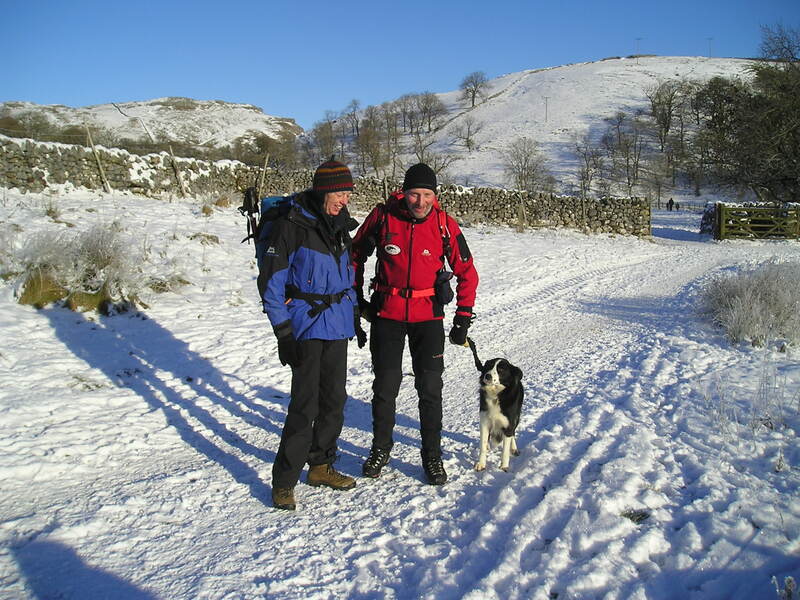 Yorkshire Dales and tagged Border Collie, Malham, Pennine Way, winter. Bookmark the permalink. A lovely set of pictures. Good luck with the blog, Paul. Thanks for the kind words Alan. Fine blog and keep it coming.